Practicing, preserving and transmitting an ancient tradition into the 21st century. 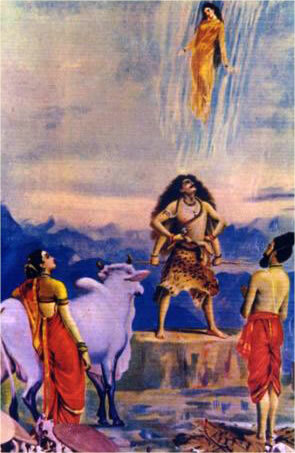 Maharaja Bhagiratha prays for the celestial Ganga to descend to the earth. Lord Siva absorbs the impact of the Ganga by catching it on His head. The history of Nala and Damayanti (PDF 165 k) from the Mahabharata. Sarirasthana, (11 MB) a canto of Agnivesa's Caraka Samhita. This is a chapter of a classical treatise on ayurveda dealing with how the body is created, propagating good children, pregnancy, embryology, etc. Useful for all practitioners of Vedic culture especially grihastas. 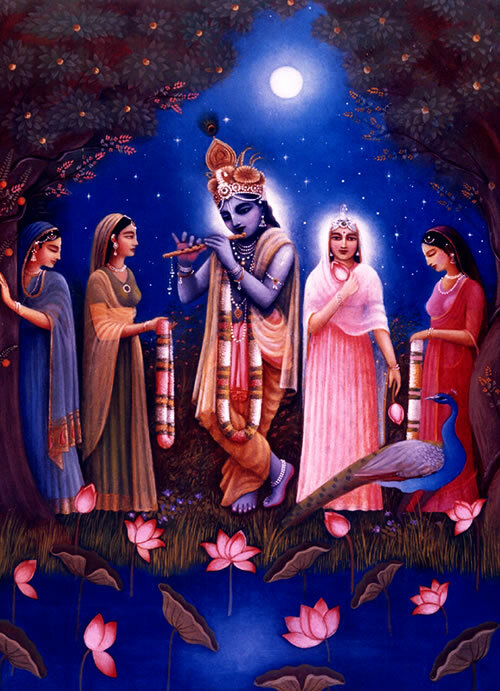 Lord Krsna with His eternal consort Srimati Radharani and Their intimate friends.